A unique in-depth interview with one of the most powerful women in business on human connection, self doubt, family, and growing a company to billions in sales. If you’ve ever wondered what it would be like to run a company that has done billions in sales, employs hundreds of people, or operates globally, there’s something in this interview for you. If you’ve ever been curious what it would be like to do this alongside your spouse while raising a family, keep reading. Or, if you struggle with self-doubt, imposter syndrome, or loneliness, this interview is for you. 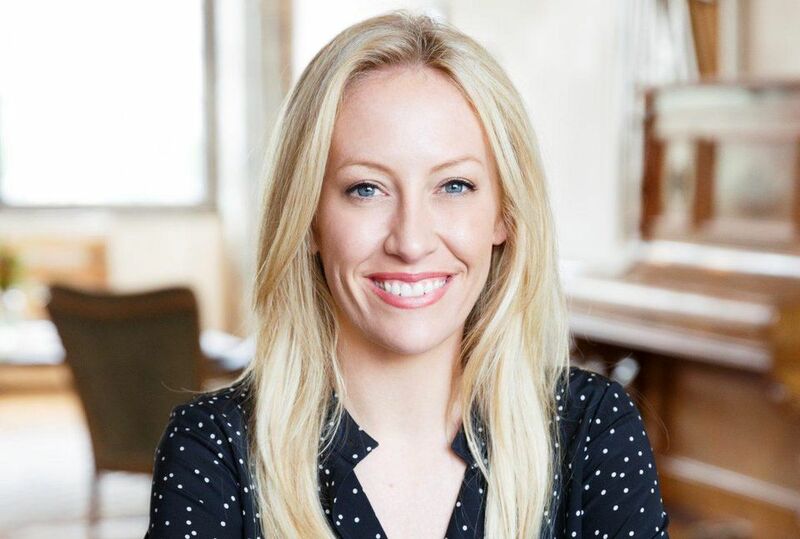 I spoke with Julia Hartz, cofounder and CEO of Eventbrite, to discuss these topics and more. Hartz has helped drive the company from an idea to a leading global event technology platform that powers millions of events around the world each year. Since the company’s founding in 2006, Eventbrite has generated more than $10 billion in cumulative gross ticket sales, and, in 2017 alone, processes more than three million tickets per week to events and live experiences around the globe. Darrah Brustein: You’ve been quoted as saying that in today’s digital age, you believe that real-life, human experiences lead to individual happiness and strong global communities. I couldn’t agree more, and imagine this led to your co-founding Eventbrite. Would you share with us what was your initial catalyst to do so, please? Julia Hartz: Live experiences are more than fundamental, they’re transformative. In an age where we may all be living virtually, we wanted to build something that leveraged technology for deeper connection. Our goal was to empower the creators that facilitate these important real-life, curated moments of thought-sharing, joy, reflection, and growth. We were originally inspired by the notion of democratizing an industry using online payments. We wanted to use that entry point to create this link between great technology and live experiences. The gap that we saw was that there was no technology available for people like you and I who wanted to host events on our own, and not use a white label solution or use something more sophisticated than Excel spreadsheets and checks. Harnessing the power of technology to make it possible for anyone to create a movement, or an event or live experience around any topic, passion, curiosity or cause is what motivated us twelve years ago and it continues to drive us today. Brustein: We both believe deeply in the power and importance of relationships, so much so that we both co-founded companies with our closest relationships: you, your husband, and me, my twin. I don’t believe that you can separate out your work and personal lives, but instead, they integrate and blend. What does that look like for you and Kevin, and what are some keys to navigating being partners in both work and life? Hartz: I’ve been told many times that I should give up trying to find balance in my life, but I refuse. I think of it less as trying to achieve balance, and more as putting pieces of a jigsaw puzzle together successfully – there’s always that one piece missing under the couch! Kevin and I navigate this by dividing and conquering our responsibilities and we’ve learned how to do that well. We both love structure and routine, but we have very different and complementary skills. This allows us to get from point A to point B two times faster, and not tread on each other’s territory or area of responsibility. We are naturally advisors to each other, but there are clear lines of ownership, responsibility and accountability. Brustein: You’ve shared with me about habits you’ve adapted from your lessons in leadership to your home life as a parent. Anything you can share with our readers? Hartz: Learn to ask for help. It’s easy to think that you need to be ‘Superwoman’ and that you’re expected to try to juggle everything on your own. My mom always instilled in me that it was braver to ask for help when you need it. That has absolutely stuck with me over the years, but became even more important in practice once I became a mother. It may sound trite, but the concept of ‘it takes a village’ really could not be more true. Brustein: Eventbrite has consecutively been named a top place to work in general, as well as specifically for women and Millennials. You’ve been credited with growing your team to 700 by leading with empathy. What are some of the lessons you’ve learned in growing a business and leading this way? Hartz: Leading Eventbrite has taught me a lot about how to connect with people to drive results. Energy is my ‘operating system’. I can quickly read the energy in a room and understand where people are coming from, which allows me to adapt and drive the right outcomes for the business. I call empathy my superpower, and I say that with sincerity and pride. But it was only after learning to apply discipline to my empathy that it became a strength. I had to learn to stay neutral, versus reacting to everything that was coming my way. As you mentioned, we now have more than 700 global ‘Britelings’ in 12 countries. As we have grown, I’ve learned that a great culture must be a living, breathing thing, especially as you scale and integrate multiple teams through acquisitions. Eventbrite’s culture is in a constant state of evolution. Every new Briteling brings to the table his or her own ideas, ideals, experiences, and desires — this makes the fabric of who we are as a company. The culture must be owned by the people — you can’t buy it, you can’t grow it overnight, and you can’t fake it. This is the way to build a culture that will sustain itself through the good times, and the challenging times too. Having the right team in place is critical. Some of my proudest moments in building this company have been bringing on the people who I know will help us pull the future in faster. Brustein: Has your leadership style changed as the company has grown? What have been some of your biggest lessons learned? Hartz: A lot has changed in the past year: we’ve experienced incredible expansion around the world, and about 40% of new Britelings hired last year were in our international offices. Since becoming CEO, I’ve shifted my focus from being 100% on people to building and flexing operations muscles. This hasn’t been without its challenges, but what’s made the transition easier is that from day one, building a wonderful culture and a lasting legacy of a great company has been as important as building profits. Brustein: Given your position atop a company powered by millions of events in 180 countries, what are some of your biggest takeaways about the power of human connection and experience? Hartz: The desire to gather with others in flesh and blood lives in all of us. Not simply to claim we were present in life, but truly connect through a shared live experience. Events aren’t just for attending. They exist to fulfill a desire to leave different from when we walked in: to be smarter, wiser, happier, more engaged, more excited, more thoughtful, more in touch with yourself, with your community, with the world. They offer the possibility to have transformational moments and be part of something bigger than ourselves. Whether it’s a single large gathering, like the inaugural Women’s March on Washington, or more intimate groups forming around the country to share in a cultural moment, like we recently saw for the Black Panther premiere, people coming together for connection, expression and change is incredibly powerful. Brustein: Eventbrite surpassed $10 billion in cumulative gross ticket sales in 2017. That’s astounding! Do you ever struggle with imposter syndrome, and if so, how do you reconcile it? Hartz: It’s pretty amazing and almost like a pinch-me moment. I never aspired to be an entrepreneur, but ultimately chose this path because I thrive on velocity. It’s been an incredible journey over the past 10-plus years, but there was definitely a confidence gap I had to overcome, and a lot of lessons along the way. I’ve learned that any time spent doubting myself is wasted…it’s empty calories. Surround yourself with people who make you stronger and better. I’ve built a tribe of teammates, advisors, and investors who constantly inspire me, push me and support me. Also, I rely on trusting my gut. When in doubt, my gut is a strong force and will usually guide me in the right direction. Brustein: What does success mean to you (personally and professionally)? Hartz: Success to me means two distinct things. First, it’s that we’ve built a really great company. I’m focused on the company as much as I’m focused on the business. They’re separate because you can have a really great business, but a weak company; or, you can build a really great company, but not have a strong business that ultimately lets it go the distance. The company to me is the culture – – who you are and how you show up in the world for your team and your customers. Brustein: What drives you and keeps you motivated? Hartz: The opportunity to inspire human connection is really what drives me. And knowing we can’t do that without the tremendous dedication of our creators is what keeps me motivated. For more than a decade now, we’ve had a relentless commitment to serving event creators of all kinds – whether they’re bringing together 25 followers or 100,000 fans – so that people can connect and have these transformative moments. We’ve built a uniquely flexible platform that increases the value of live experiences for both creators and attendees. This required significant innovation in everything from discovery tools for people to find and access local, fun and relevant experiences more easily, to technology solutions that meet the complex needs of our wide range of creators. Millennials are using our platform to turn their passion for live experiences into a livelihood, quitting corporate jobs to start their own businesses built on Eventbrite. A secret movie club is using our native Facebook integration to reach new audiences and double attendance at their events. And our RFID solution is eliminating box office chaos and significantly cutting people’s wait time in line at events like Anime Expo, which boast more than 90k attendees a year. Our core business is super-strong, and that’s because of the diversity of event creators who use our platform. It’s our collective passion for the creator that will continue to fuel our growth and success into the future. Brustein: Clearly, you have a lot on your plate. How do you care for yourself as well as take care of your relationships? Hartz: I grew up as a dancer so exercise and connecting with my body is really important to me. I alternate between yoga, pilates, and barre in the mornings. Sometimes my daughters join in! Kevin and I are also big believers in date night and try to make it happen at least once a week. Sometimes all we do is talk about the girls or Eventbrite, and sometimes it’s entirely other subjects. Either way, it’s sacred time just for us. Brustein: What advice would you give your 20-year-old self? Brustein: When it’s all said and done and you’re looking back on your life, of what do you hope to be most proud? Hartz: That we fulfilled our mission of bringing the world together through live experiences, and in the process, had a positive impact on both individuals and communities. This business knows no bounds. But how we travel this journey is something I care about just as much, if not more, as the ultimate success of Eventbrite. How we treat one another – how we come together during times of celebration and trial – matters, and will ultimately define our legacy.